Pocket Guitar allows you to carry a guitar everywhere you go. 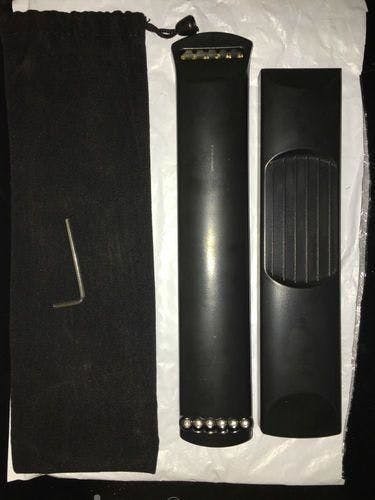 Portable guitar particularly designed for guitar enthusiasts for daily practice or entertainment. It allows you to play wherever you are. 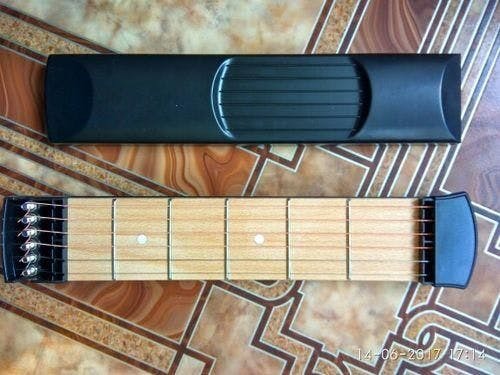 Now you can silently practice your riffs and chords anywhere, anytime! 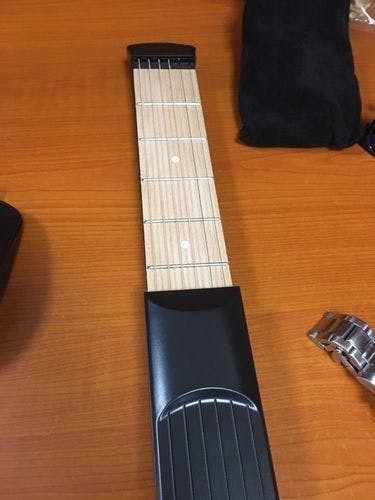 This awesome gadget has been carefully designed to mimic a real guitar built with a real mahogany effect fret board, with 4 frets. The steel strings can be removed, replaced, loosened or tightened as needed. It is just like any real guitar - only totally portable and quiet so it will not disturb others around you. The Pocket Guitar is ideal for practicing scales, chords and riffs, building your finger memory and also toughening them up. What's more is that it's incredibly fun and addictive to play with! Grab one now so that you can silently practice on the bus, in a taxi, in your lunch break at work - virtually anywhere! They arrive fast, packaged well and man,this Guitar thing is so cool. They arrive fast, packaged well and man,this Guitar thing is so cool. Can't wait to use it. This is such a handy little gadget! It took me a month and a half to get there, everything super good ! It took me a month and a half to get there, everything super good !! Lightweight and comes with a handy carry bag. 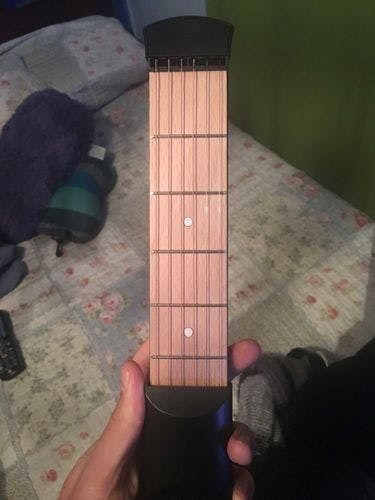 it is not a real guitar,but very nice little practice tool .